Emotionally draining storylines, jaw-dropping twists, and edge-of-your-seat viewing. All these are good descriptors of the roller-coaster of feelings Supernatural viewers went through during the latest episode. If we went through this many ups and downs this go-around, can you imagine what the finale will put us through? I adored Charlie and was very sad that she died, even though I could see it coming with the big hints we were given. However, I didn’t cry until we saw the memory montage during her hunter’s funeral. All those wonderful times when the Winchesters’ adopted sister was there for them, went above and beyond to help them out, and in the end she was sacrificed like all the others. Very heart-breaking. Also heart-breaking was the fact that Dean has completely shut Sam out because of what he did. 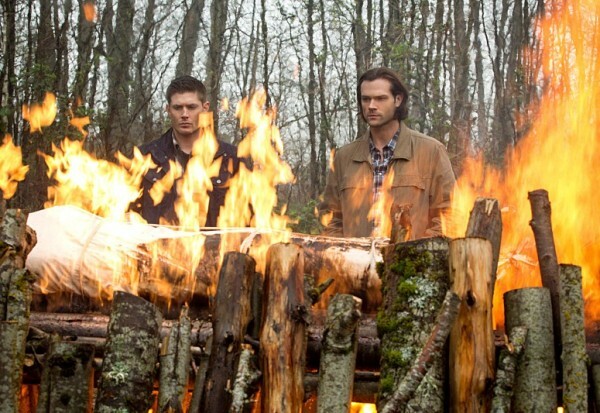 To not allow Sam to apologize is one thing, because I understand that, but to hear Dean tell him that he wishes it was Sam up there on the funeral pyre instead of Charlie? So wrong, so hurtful. The Dean we know wouldn’t say those things, but the Dean we know is gone. Mark of Cain Dean is here now, and he’s on a rampage. Everything and everyone who gets in his way is going to pay. Whether they be purely evil or destined to turn, he’s slaughtering them all. And it’s not just the potential bad guys, either. He almost killed Cas, which was a heart-stopping minute when I was unsure if he had actually done it or not. And, yes, the lack of flash should have been my clue, but you can’t think straight when death is staring you in the face. I’ll admit that Cas has often perplexed me, or possibly annoyed me at times, but that split second that I thought Dean killed him? Pretty shocking. So, I guess the angel needs to stick around a bit more. Or at least until the finale when all bets are off, because someone is going to die. Maybe a lot of someones. 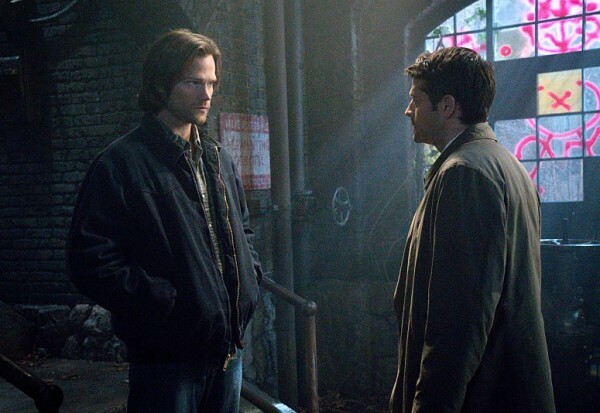 And while Cas is off trailing MoC!Dean, tallying the bodies as he goes, Sam is defying requests and getting himself into even deeper trouble. Dean asked him to stop with the book and he agreed, but as soon as he found Charlie’s notes and got Rowena’s promise to decipher the code? Back to the plan, overruling Dean’s wishes. 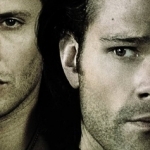 And, yes, it’s always going to be Winchester sacrificing himself for Winchester in this show, but it always ends badly. These kinds of things always come with a price, and I fear that we’re going to be thrown for a loop and left to suffer through the summer hiatus because of it. 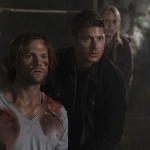 Is Dean going to kill his brother before this is all over? Rowena’s manipulating Sam again, and he knows it, but he’s so sure that he can hold the upper hand throughout the entire experience. No, he cannot. 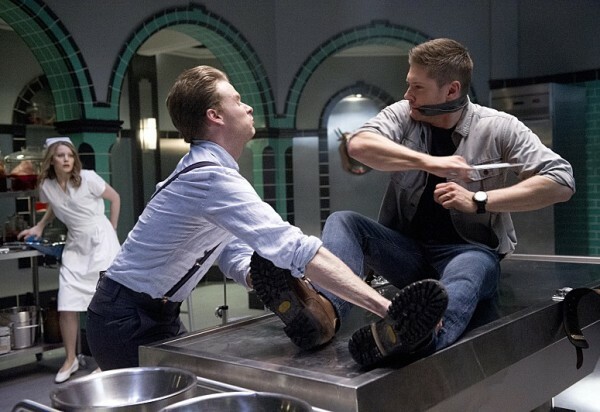 First we’ve got Rowena’s orders that Sam hold up his end of the bargain before she will decipher the book, and that means Sam has to kill Crowley. And Sam doesn’t seem to have any qualms about the act, but he underestimated Crowley. We all did. We’ve seen Crowley become softer, more approachable, existing in the gray area of right and wrong. But it was all an act. He’s the King of Hell, and you better treat him as such. He’s got more power than you can ever imagine, and will kill you with a smile on his face. Plus, we finally got to see his eyes flash red. Red eyes! Such an exciting scene! Though, I do fear that this will mean he’s doomed, since he’s crossed the line from shady to fully evil. I guess we’ll have to wait until next week to see. Just like all the others, Crowley’s in danger of dying, too. So, who’s going to perish in the finale? Because Death is apparently showing up. And Dean’s going to be recruited as a Reaper again? Or possibly just for one mission, to reap someone that will hurt him the most. I keep pondering who that might be. Before I thought maybe Cas, since they were close, but seeing how he almost killed him once and warned that he would do it for real next time, I don’t think Cas’s death would cause such turmoil in Dean’s mind. Sam, however, would. 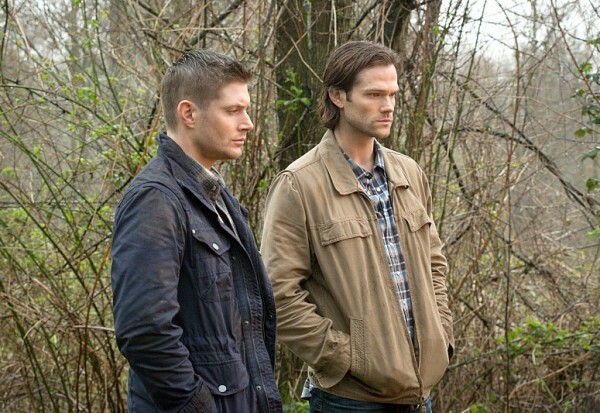 Cain warned that Sam would die by Dean’s hand, so maybe this will all play out exactly as foretold. All I know is that we’re probably all going to need a recuperation period before it’s all over, and for a long time afterward.